Eversince I learned about this place, I kept on telling it to Paul since he loves Korean food a lot but we didn't have the time last December so it was just this week that we were able to take a visit. This was our venue when we had a reunion with my former co-teachers. I liked the place since it's small and cozy and I fell in love with their food. So I told Paul about it and he got curious. It's authentic Korean food. 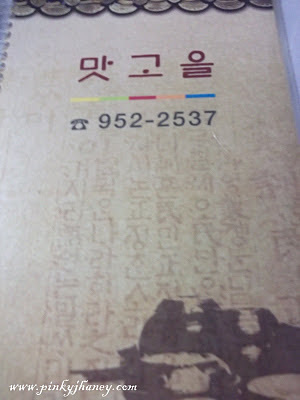 The owner is Korean and the menu is really in korean characters. 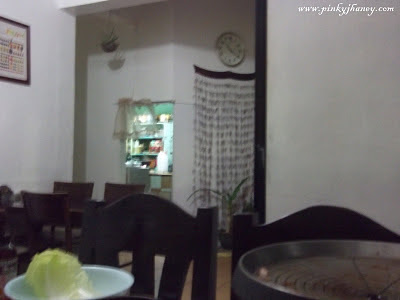 Their waitresses are friendly and will help you if you're not familiar with the food. We ordered samgyeopsal and kimchi jjigae. Others call it lettuce wrap. You will fill the lettuce with pork belly and any of the side dish in this picture. It's a little bit messy but fun. I enjoyed doing this. 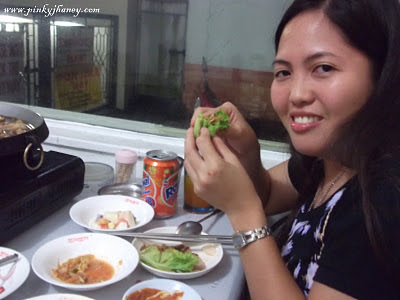 The samgyeopsal and side dish costs P400 ($10). A reasonable price that's good for two. It's like a Korean veggie salad. It can be eaten as is or with the lettuce wrap. I think it's also a side dish. I love it's taste. 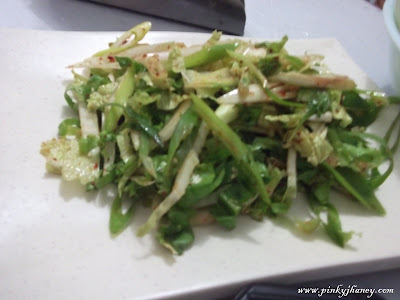 I think it has onions springs and other leafy vegetables with chilli paste. 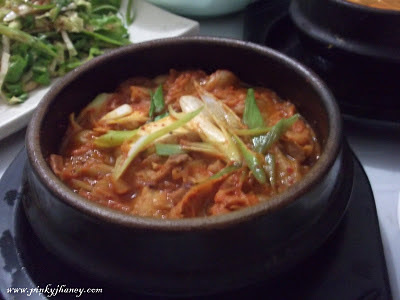 Paul's favorite - kimchi jjigae. We can see their small kitchen from out seat. Mah Sit Sso Yo (It's delicious). I forgot to ask the name of the restaurant. It was located beside the entrance of BF Homes, Quezon City. The name of the restaurant was in Korean so I didn't know how to read it. 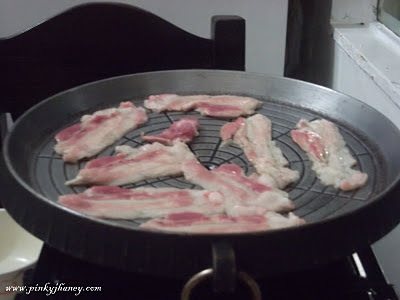 SamGyupSal for the win! 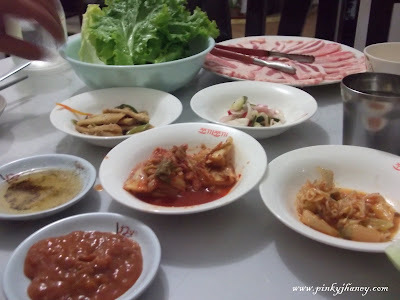 We ate korean foods last sunday! :) Do check out my blog too..